RCI, the global leader in vacation exchange and part of the Wyndham Worldwide family of brands, today announced that visitors can simultaneously help the environment and support local charities through a new creative green initiative introduced by RCI. The RCI program, branded Green Fingers, encourages visiting guests to deposit unwanted, non-perishable food upon departure for donation to local charities. RCI has teamed up with Mariner Shores Resort and Nepean Country Club and Day Spa to pilot this food recycling program. The two-pronged project aims at encouraging guests to have minimal impact on the local environment while directly benefiting charities such as The Salvation Army, Second Bite and St. Vincent de Paul. “Our research indicates that holiday makers, particularly those staying in self-contained resorts, have a tendency to overbuy food, which leads to wastage at the end of their break,” said Gary Fog, business development manager, RCI Pacific. “Therefore, our pilot program is about working with existing industry partners highlighting our commitment to the environment and the greater community,” Fog said. Brent Schafer, general manager for Mariner Shores, a participating resort, has been very happy with the response so far: “Many of our guests have enjoyed being able to donate and have praised us on this initiative,” said Schafer. 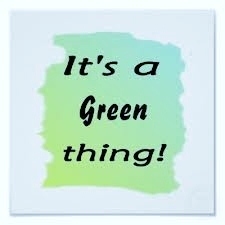 “People are much more aware of their green footprint these days and they like to make an overall difference. 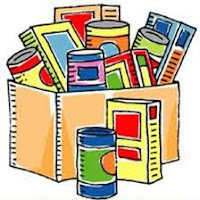 We get all sorts of donations from packets of chips, biscuits and canned food, through to diapers and baby wipes – basically anything that is unopened and non-perishable is accepted,” explained Schafer. The RCI Green Fingers initiative encompasses the overall RCI Go Green program with plans to introduce the program globally. For more information regarding RCI Green Fingers or RCI Go Green program contact Gary Fog at gary.fog@rci.com.